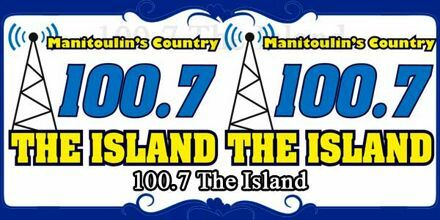 100.7 The Island is the renowned radios station broadcasting from Little Current, Ontario and devoted to Country Hits. This station is fully modified internet radio station which provided you with 100% pleasure and makes your day tremendous with its vast variety of songs. Its goals are to promote Manitoulin and the North Shore’s beauty and culture and to keep it’s listeners connect with local news, weather, road and marine forecast and events. This is a community radio outlet owned by Manitoulin Radio Communication, broadcasts a country music format branded as The Island. Listen to the wonderful melodious songs of your choice all day long. If you’re tired of pre-programmed, repetitive, commercial radio stations, then Country Music is the place you want to be. This station offers 60% Canadian content which makes us highly unique, we support independent Country artists, and they are one of the few remaining separately owned and operated radio stations left in Canada. The station originally began operating in 2001 on 101.1 FM, as Manitoulin’s first local community radio station with a rock format including a mix of various formats such as oldies, classic hits, retro music with some current music branded as Rock’n the Rock. On October 23, 2006, CFRM-FM changes formats to its current country music format. After the move to 100.7 FM in 2007, the station became 100.7 The Island. In 2008, Manitoulin Radio Communication Inc. (Manitoulin Radio) applied to the Canadian Radio-television and Telecommunications Commission to add a low-power FM transmitter in Sudbury to rebroadcast the programming of CFRM-FM Little Current. In 2010, 100.7 The Island FM won Radio Station of the Year in a Secondary Market at the Canadian Country Music Association Awards. In 2014, Manitoulin Radio filed an application with the CRTC to add a second sister station at 103.1 FM. The new station was approved on April 1, 2015, as CHAW-FM, with 100.7 becoming “Glow 100”. 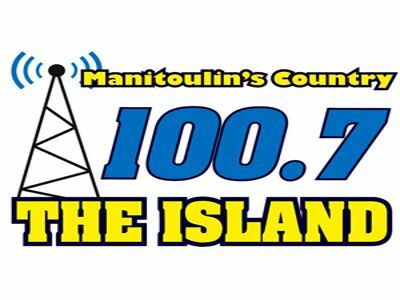 On April 1, 2016, at 12:00 PM noon, 100.7 The Island, the country music station moved to CHAW-FM 103.1 and CFRM-FM 100.7 become Glow 100 “Manitoulin’s Hot Dance” with a top 40/dance music format. Station owners Craig and Kelly “KT” Timmermans are also producers of the Manitoulin Country Fest, a local country music festival staged each August. Sales: Dwayne Animikwan — (dwayne@manitoulin.net). Liveonlineradio.net has 100.7 The Island Radio in its listings. Just click and enjoy. 100.7 The Island – www.liveonlineradio.net/canada/100-7-island.